We talk a lot about the future of work. About geographically distributed workforces, younger workers preferring digital collaboration, the hovering spectre of intelligence and automation, and what that means for how we train humans and the skills they need. At this moment, business leaders waiting for this future to arrive are at risk of missing the window. The fact is, the future of work is here. It's time to stop preparing for the future of work and start deploying resources for the changes that are already here. Virtual companies have proven viable and are on the rise, Millenials and Gen Z are driving a new way of working, and digital transformation initiatives are in full effect across established corporations. The proliferation of cloud platforms and the efficiency they enable in the workplace will continue to transform the way organizations do business. It's likely that to keep all these moving parts aligned - collaborate with distributed workers, hire and manage contractors, and communicate with services providers - you'll need ways to bring everything together in one place. 2019 is the year when the future of work becomes the present for a growing number of companies. A recent report by Upwork found that more than half (59%) of hiring managers today are leveraging freelance and contract workers, up 24% from 2017. In our own 2018 State of the Services Economy study, 89% of more than 500 executives responded that they have remote workers; and, nearly three-quarters said they have employees in different countries. The future of work is not just locally distributed workforces, it's a growing global phenomenon. Business leaders must gain a better understanding of how work gets done in this new reality in order to assess needs and position their businesses for future success. This will likely manifest itself in leaders seeking digital platforms that help facilitate work, productivity, decisions, and performance. In 2019, we'll see leaders start to lean on something that serves as an operational system of record for their business: a centralized platform that digitizes plans, processes, and collaboration for distributed work teams made up of employees, services partners, and contractors. The truth that business leaders must abide by in 2019 is that fostering productivity in the increasingly distributed workplace is perhaps more so now than ever, about the enabling technology they use to digitally transform the business and modernize their way of working. 2019 is looking to be a very transformative season for business leaders because the future of work has arrived. John Reese has spent more than 20 years marketing B2B technology and SaaS businesses, ranging from Fortune 500 to early-stage companies. John brings this expertise to his role as Senior Vice President of Marketing, where he oversees Mavenlink's marketing and growth strategies. In addition to his role at Mavenlink, John is a featured columnist on MarTech Advisor, and serves on the Advisory Board of the Technology Services Industry Association. Prior to Mavenlink, John led marketing and sales development at Velocify (acquired by Ellie Mae), a fast-growing SaaS leader in the sales technology industry, helping the company grow exponentially over his tenure. 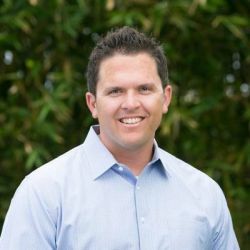 John also spent 11 years building and leading the global marketing efforts of HireRight, helping take the company from start-up to successful IPO and $300 million market leader with a reputation of being one of the most-admired providers in the human resources technology space. Earlier in his career, John held product marketing, marketing communications, public relations, digital, and demand generation roles at software start-ups Versada Networks and Access360 (acquired by IBM), and public technology companies Rainbow Technologies, Inc. (acquired by Safenet) and MicroAge, Inc. John holds an M.B.A. from Pepperdine University and a B.S. in Business (emphasis in Marketing) with honors from Arizona State University.